Facebook CEO Mark Zuckerberg is one of the targets of a Pakistani criminal investigation under a law that makes criticizing the Prophet Muhammad punishable by death. Facebook and its chief executive Mark Zuckerberg are selling a combined 70 million shares of Class A stock, as the social media company prepares to join the Standard & Poor's 500 index. The offering includes more than 41 million shares from Zuckerberg, who also will buy Class B shares that carry more voting weight. After a premarket stock dip of more than 4 percent on the news, Facebook's stock recovered somewhat and was down less than 1 percent in afternoon trading on Thursday. The Menlo Park, Calif., company said Thursday that the Class A shares will be offered mainly to index funds whose portfolios are based on stocks included in the index. The S&P 500 will add Facebook on Friday after markets close. The index is a list of companies that have a market capitalization over $4 billion and is meant to be a snapshot of the U.S. economy. At Wednesday's closing price of $55.57 per share, that would put the total value of the offering, not counting expenses, at about $3.89 billion. Zuckerberg's offering of 41.3 million shares would generate about $2.3 billion based on Wednesday's close, not counting expenses. The company said Zuckerberg will use most of the proceeds from his sale of Class A shares to pay taxes he will incur in connection with exercising an option to buy 60 million shares of Class B stock. He's also using part of it for charitable contributions. It's Zuckerberg's decision to sell shares that likely led to Facebook's stock price decline. ``We are not concerned by this news,'' Kessler said in a note to investors, reiterating a ``Buy'' rating on Facebook's stock. Each Class B share gives the shareholder 10 votes, while each Class A share comes with one vote. The deal will give Zuckerberg control over nearly 63 percent of the voting power of the company's outstanding stock, according to a Securities and Exchange Commission filing. 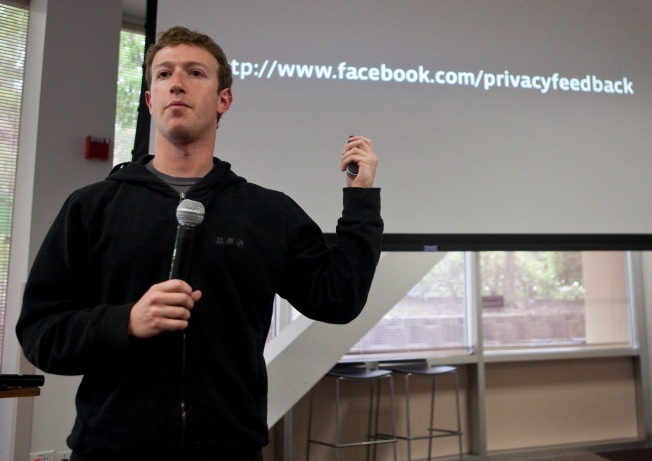 Facebook Inc. will offer 27 million Class A shares, and the company expects to use any proceeds for working capital. The company will have 2.54 billion Class A and Class B shares outstanding after the offering, or about 4 percent more than it had at the end of September. Facebook's shares dipped 49 cents to $55.08 Thursday afternoon. That's up about 44 percent from Facebook's $38 IPO price and down only slightly from the all-time high of $55.89 that it hit on Wednesday.